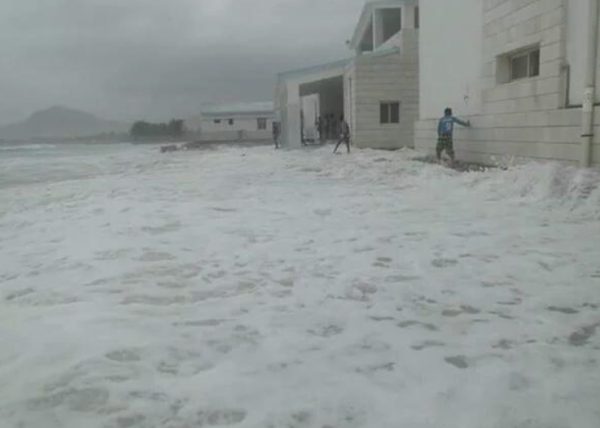 Cyclone Chapala, a rare tropical storm, has hit the remote Yemeni island of Socotra, killing at least one person before heading towards the mainland. Many residents took shelter in schools and caves as Chapala brought hurricane-force winds, heavy rain and powerful waves to the island. Photos and videos posted online showed water flowing through the streets of the provincial capital, Hadibu. It is believed to be the most powerful storm that Yemen has seen in decades. On November 2, the US Navy’s Joint Typhoon Warning Centre reported that Chapala was generating gusts of up to 150mph, equivalent to a category 4 hurricane. Gusts of up to 100 mph are forecast for when the storm makes landfall just west of the city of Mukalla, on the south coast of the Yemeni mainland, on November 3. The cyclone could deluge parts of the country with up to 20in of rain in two days – 10 times the annual average.